One thousand years after the Crusades, the Pope is calling for force to be used to protect Christians in the Middle East. “In an unusually blunt endorsement of military action, the Vatican’s top diplomat at the United Nations in Geneva has called for a coordinated international force to stop the “so-called Islamic State” in Syria and Iraq from further assaults on Christians and other minority groups. Meanwhile, there has been another call for a European Army. Presently, every single country in Europe has its own military. 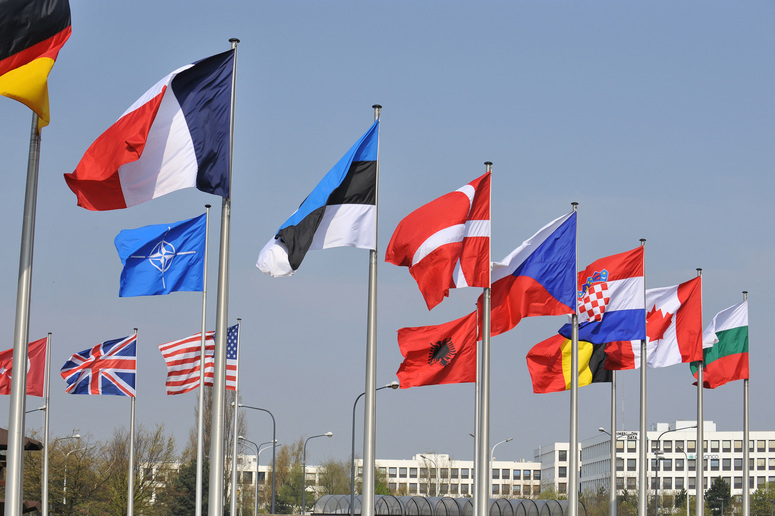 However, many European nations are members of NATO and co-operate greatly on defense. In spite of increasing threats to the peace and stability of Europe, some European countries have been cutting defense expenditure in order to balance their budgets in a time of austerity. This has caused some resentment in the United States. Many feel that Europeans are not pulling their weight. A number of countries are spending less than the required 2% of their budgets on defense. At the same time, Europeans are concerned that Americans seem intent on raising the stakes in Ukraine by sending more arms to Kiev. This scares some European governments including Germany. Additionally, the US is closing 15 military bases in Europe, as if to emphasize that the country’s priorities are changing. Europeans see Russia as their greatest threat at this time. So do many members of the US Congress. However, differences remain on how best to handle Russia. The President of the European Commission, Jean Claude Juncker, has called for an EU Army to make the Russians realize that Europe is serious about Russia’s threats (“Jean Claude Juncker calls for EU Army,” The Guardian, 8 March). In the last twelve months, Russia has invaded and annexed Crimea, continues to occupy (supposedly through surrogates) eastern Ukraine and has increased intimidating military flights over the Baltic countries and the United Kingdom. But Russia may not be the biggest military challenge Europeans face. Islamic extremism could be an even bigger problem. The Europeans have to contend with both ISIS and Al-Qaeda. The latter was behind the attacks in Paris in January. ISIS is now at Europe’s back door with a significant presence in Libya, Italy’s former colony, and not that far away from the Italian peninsula. ISIS also now has an ally in Boko Haram, which pledged allegiance to the Islamic State a few weeks ago. Boko Haram is causing a great deal of turmoil in Nigeria and neighboring countries, all of which have commercial and historical ties with European countries and the EU. The Bible highlights the fact that the Middle East is at the center of Bible prophecy. Many of the prophecies in scripture could not have been fulfilled until the collapse of the Ottoman Empire less than a hundred years ago. The subsequent peace treaty created a number of new countries, many of which remain in varying degrees of conflict and instability. Deeper tensions came with the establishment of the nation of Israel in 1948. These events have made the final biblical scenario all the more credible. Earlier in chapter 11 we read a prophecy, written in the sixth century BC, of Alexander the Great. His empire, a fulfilled prophecy, came about two centuries after the prophetic words of Daniel were written. As predicted, his empire was eventually divided between his four generals. Two of these generals founded biblically significant dynasties, one to the north of Jerusalem (the King of the North, or the Seleucid dynasty) and one to the south of Jerusalem (the King of the South, or the Ptolemaic dynasty). These two dynasties were often in conflict. As the Jews were in the middle, they suffered greatly because of them. After the horrendous climactic events in the middle of the second century BC, the prophecy takes us down to the present time, where, once again, there’s a king of the North and a King of the South. It should be noted that the prophecy has a gap of two thousand years because the Jews did not have a country of their own during that time. Now, once again, they do. The ancient King of the North was conquered by the Roman Empire in 60 A.D. A new revived Roman Empire is going to emerge as the new King of the North, although it won’t be called by that name. But it will fulfill the prophecy in Daniel 11. It will send troops into the Middle East to deal with the growing threat of Islamic militancy, political turmoil and conflict. A European Army is more likely to be used in this region than against Russia. But, after intervening in the Middle East, that same army may have to deal with Russia. “But news from the east and the north shall trouble him . . .” (v. 44). It should be noted that Russia, Iran, Syria and a number of central Asian, former Soviet republics, co-operate militarily. If Europe was embroiled in the Middle East, Russia would no doubt take advantage and annex other countries that were formerly in its empire. This brings us back to the pope’s call for force to be used to save Christians in the Middle East. In the latter part of the eleventh century, Muslim Turks massacred Christians and treated surviving Christians cruelly. This led to Pope Urban II in 1095 calling for a Crusade against the Muslims, to free the Christians in the Holy Land. The Crusades lasted two hundred years. Today, it’s not the Turks who are persecuting Christians. It’s ISIS and other extremis groups. And, it’s not just Christians who need protecting. Other minorities also need intervention on their behalf. But, as with events a thousand years ago, it could be the pope who calls nations to arms. Western civilization is once again seriously threatened. Politicians, never able to see beyond the next election, seem blinded to this reality. The papacy is, once again, more in tune with global reality. 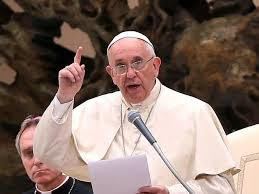 The pope’s call, together with the call for an EU Army, show that the prophecies of your Bible are on track, leading ultimately to the second coming of Jesus Christ to establish His Kingdom. Time Magazine has an interesting article on “Russia’s Fifth Column” in the latest issue, by Simon Shuster. The article explains Russia’s modus operandi for re-acquiring its former empire. The annexation of the Crimea earlier this year and the ongoing problems in eastern Ukraine help give insight. The idea is to use Russian-speaking people left behind when the Soviet empire collapsed. There are ten million of them in a number of eastern European countries. Three notable ones are the Baltic countries, Estonia, Latvia and Lithuania. These countries could see a repeat of Ukraine’s experience. The methodology is similar to Hitler’s 75 years ago – get local German (now Russian speakers) to claim discrimination and provoke conflict. Russia will do the rest, providing arms to local militias or even sending their own troops in, claiming they are locals protecting their own community. The three Baltic republics are the most vulnerable. They are all members of NATO so, if Russia invades, the US and other NATO members are obliged to intervene on their behalf. Based on this rationale, which makes sense, Putin could bring about the end of NATO quite quickly. 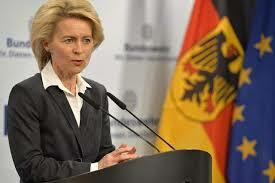 If a Russian invasion of a NATO country does not see Article 5 invoked, it would mean the end of the alliance. My wife and I are going away for a week starting tomorrow. I will not be posting again until Thursday December 18th. Ed Miliband is right. You can’t trust the people. 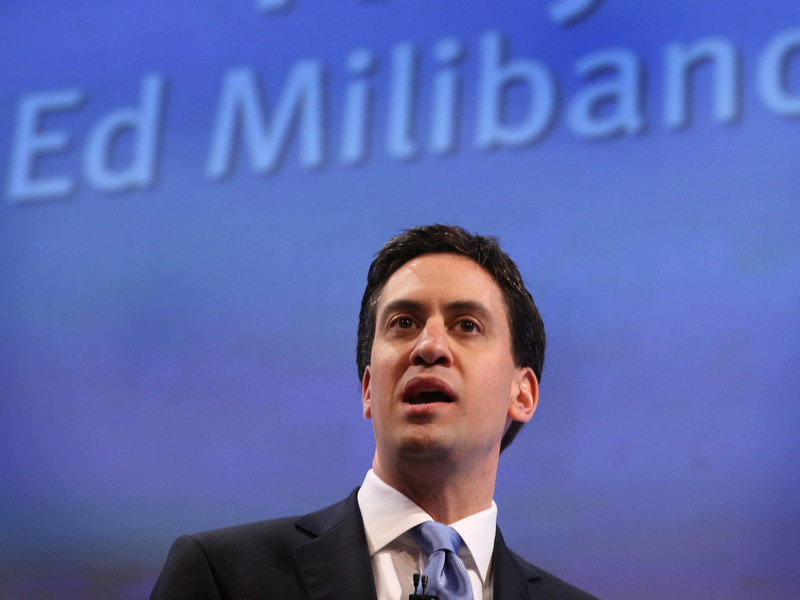 Mr. Miliband is Leader of the Opposition Labour Party in the United Kingdom. If his party wins the next election and he becomes prime minister, there will not be a referendum on Britain’s EU membership. Mr. Miliband knows that if such a vote took place, it’s likely it would go against the EU. The present Prime Minister, Conservative David Cameron, has promised a referendum in 2017, if his party wins next year’s election. This does not mean Mr. Cameron actually wants the British people to vote on the issue – he had to commit to keep anti-EU members of his own party happy and to take the wind out of the sails of UKIP, the United Kingdom Independence Party, which is gaining in the polls. UKIP advocates withdrawal from Europe. The fact is that the ruling elite are not comfortable with referenda, giving the people the opportunity to vote on important issues like their future – do they want to continue a thousand years of freedom and independence, or would they rather surrender that freedom to the emerging European superpower that some have dubbed “the Fourth Reich?” Certainly Germany, not Britain, is the dominant country in the union. Why would party leaders want to continue EU membership and deny voters the opportunity to express themselves? The EU is often described as “the gravy train.” The most powerful Eurocrats, including former Labour leader Neil Kinnock and his wife Glynis, have done well out of the Eurocracy, the ruling cabal that runs the EU. Thousands of others have equally benefitted at the expense of the people. Those in power now know that, when they lose power in the United Kingdom itself, they can look forward to a lucrative “retirement” in the EU. Besides, many British companies are in favor of continued membership as most of their sales are to other countries in the Union. And it’s always nice to be able to travel around Europe without any visa or passport restrictions. Those against an EU vote are in a difficult position right now – while denying the British people the right to express themselves on this crucial issue, they are condemning Russia for giving the people of Crimea an opportunity to determine their future! There’s something not quite right here. Of course, Putin knew the way the people would vote, so he did not take any risks. 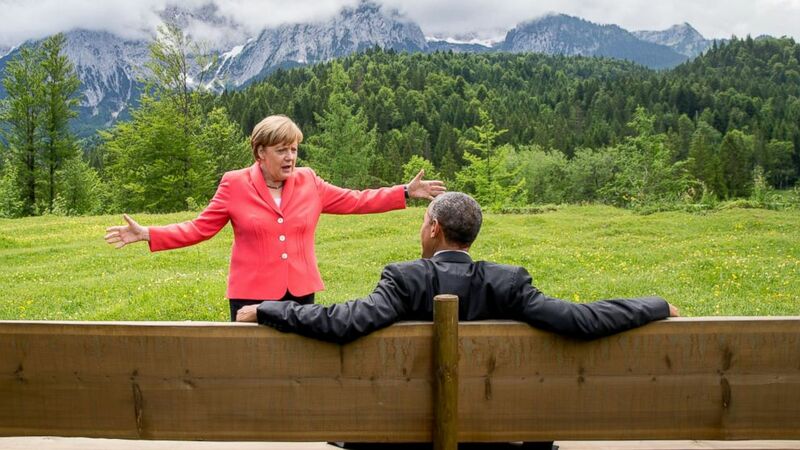 Is it possible that Vladimir Putin is more in touch with the people than the average western leader? Perhaps Ed Miliband and David Cameron should spend more time listening to voters instead of deciding what’s best for them. 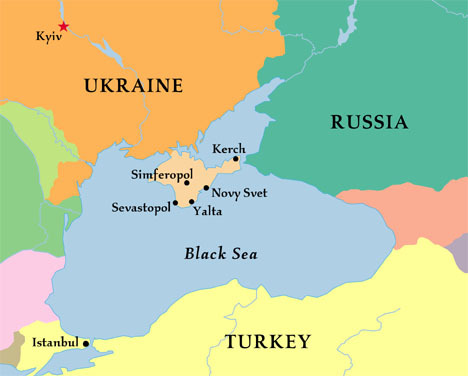 The Crimea is now a part of Russia and likely to remain so. Nothing will change that. But that does not mean nothing has changed. The US could not really do anything. But the perception of the United States has changed slightly due to this crisis, with the US seen as increasingly impotent. It didn’t start with Crimea – the problem was highlighted last summer when President Obama backed down and did nothing about Syria’s genocide. The president keeps making the mistake of declaring that the US will not use military force, when the best thing is to keep options open, which might make Assad, Putin or anybody else hesitate. As Putin backs Assad, this means Russia has beat America twice in just over six months, which may encourage the Russian leader toward further action. The EU, much closer to the scene of the crime, couldn’t do much either. Apart from imposing economic sanctions, the EU was also impotent. Surely this will spur the Europeans on to integrate their military forces so that they can thwart any further threat from Russia? A combined European military would be a major military power, easily able to deter Russia and anybody else. Russia also will suffer as a result of this. It’s highly unlikely the country can remain in the G8, thereby further isolating Moscow; while sanctions will set back the country’s economy. Nobody has really won, though Russia now rules Crimea again. I haven’t had much time to read or write this week as we are staying with our eldest daughter and family in the Indianapolis area. The number of children playing around me (and on me) has increased by 300% (from two to six), which still leaves two missing.